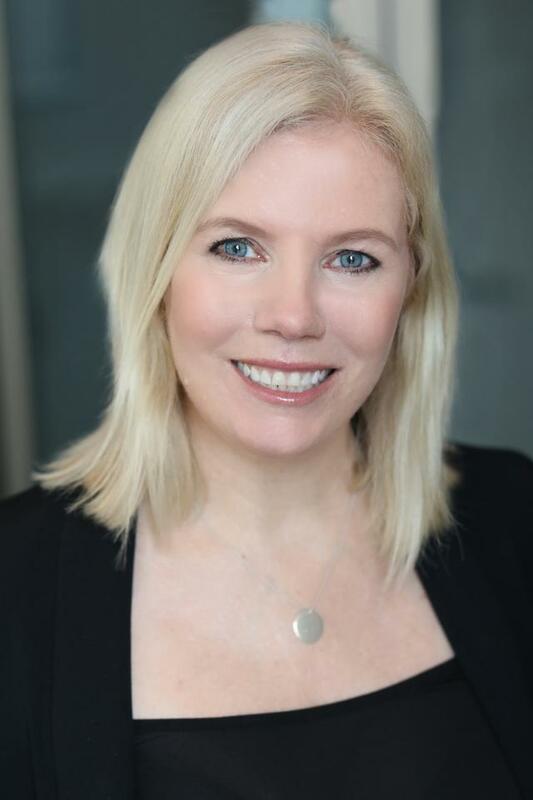 The website for the home, garden, kitchen and entertaining. 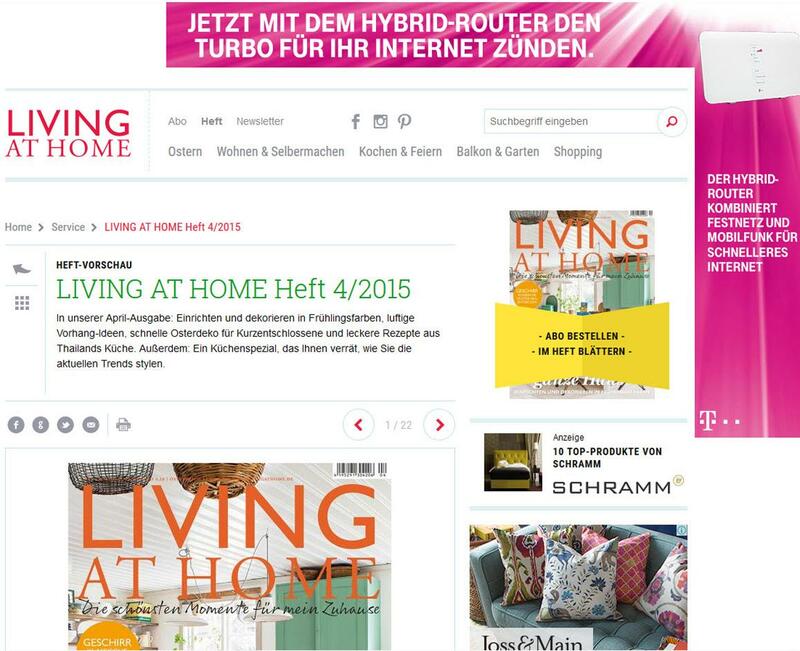 The web portal LIVINGATHOME.de is the online presence of our print magazine LIVING AT HOME. 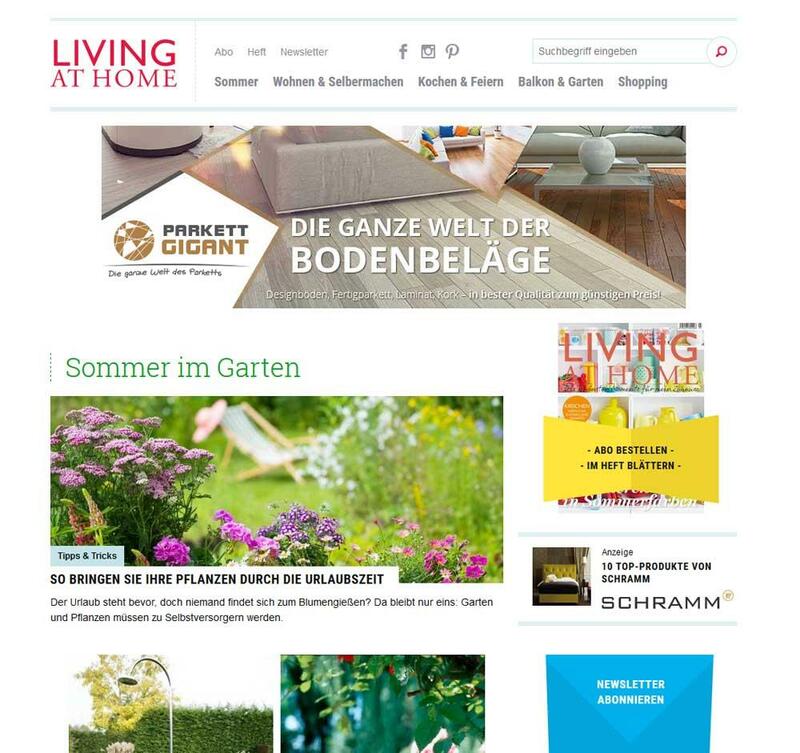 As market leader in Germany’s living & lifestyle segment LIVINGATHOME.de is a competent advisor. 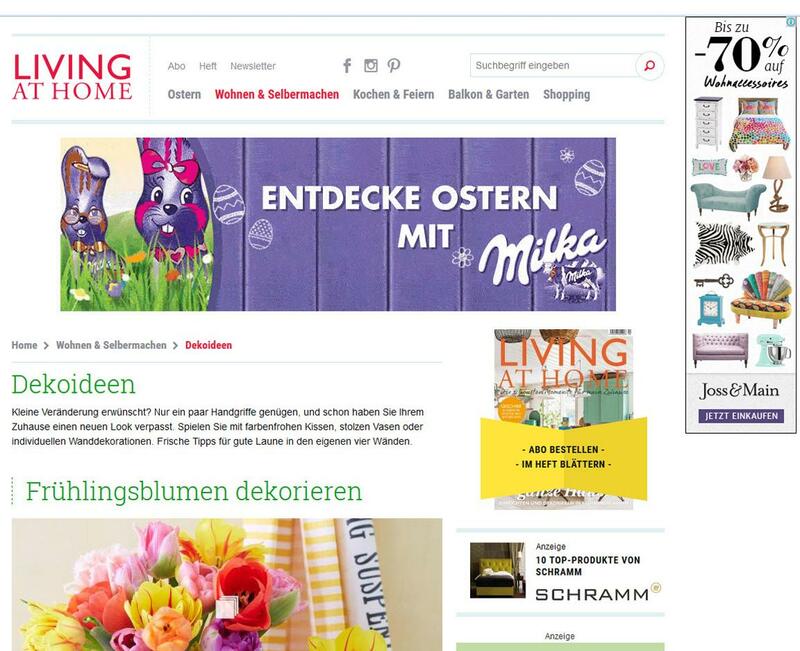 The site presents its users useful information, services and relevant trends for their own home. 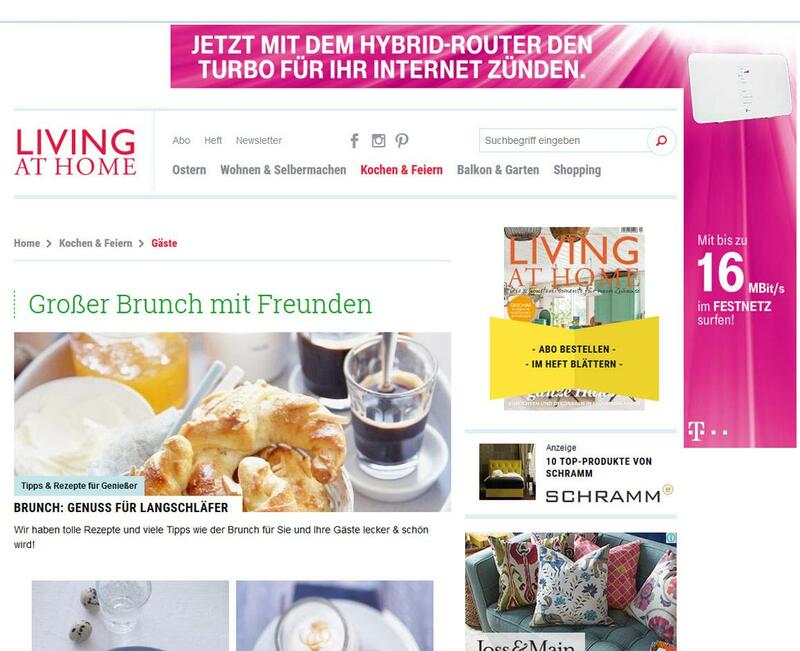 From furnishing and decorating an apartment through cooking and baking up to beauty and wellness – LIVINGATHOME.de approaches all the important living-topics. 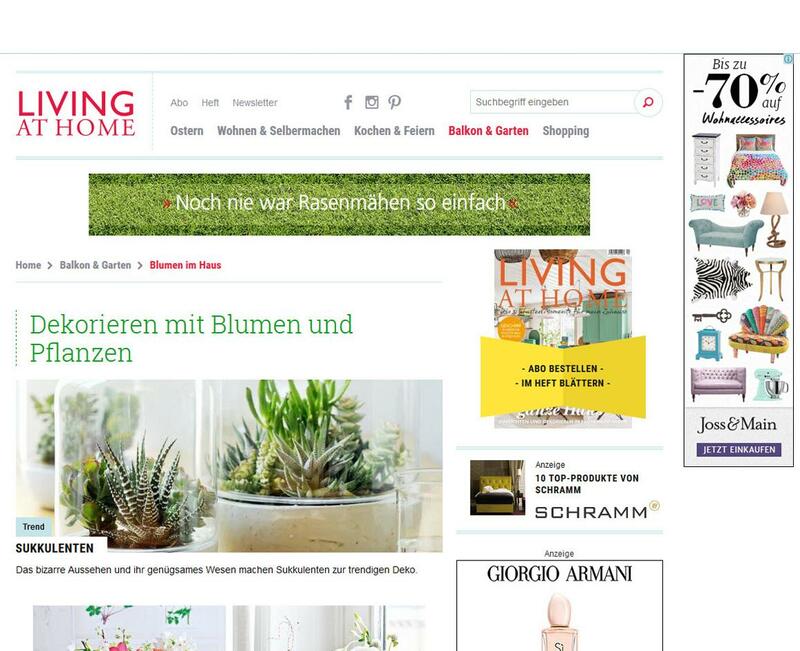 The products presented in our shopping-section round off our profound and sophisticated journalistic content in an inspiring way.